Welcome to Jade Power Qigong, Florida's home for on-site Qigong, Tuina (Chinese medical massage), Acupressure, Chinese Reflexology therapy and Qigong classes. We cover north Miami-Dade county, Broward county and most of Palm Beach county. 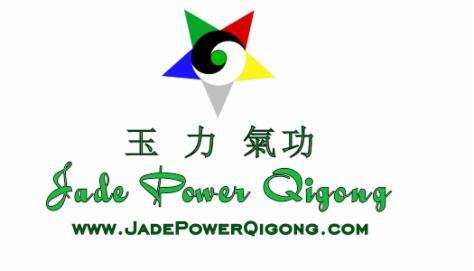 Jade Power Qigong brings master level Qigong training and practice to your business, association or other group, as well as having public classes in several locations. Qigong is a seven thousand year old Chinese health improvement system, practiced by millions of people throughout the world. This form has not been taught outside the Zhou family before. How do you get it? Just send an e-mail to: Book ( at) JadePowerQigong.com with "9 Dragon" in the subject line.The form will be e-mailed to you in PDF format. Requesting this information will add your e-mail to my mailing list. I do not spam and only send out a newsletter every two to three months. You can opt out of the mailings by responding with the opt out information at the bottom of each newsletter. Don't start any exercise, Qigong or fitness program, including any discussed on yuliqigong.com or jadepowerqigong.com or referenced to on yuliqigong.com or jadepowerqigong.com, without carefully assessing your own state of health and level of physical conditioning, without considering your age, without considering any illnesses or injuries you are recovering from, without doing some research, and without consulting with your personal physician or health care professional when and where appropriate. The author and teacher does not make any claims or promises as to the effectiveness of the exercises or Qigong described on yuliqigong.com or jadepowerqigong.com relative to your state of health, age, or physical condition. This website gives no medical advice or recommendations, but does point to traditional and modern medical research that supports the considered judgment that the practice of reasonable exercise and fitness methods can help many people achieve good health, improved strength and flexibility, well being and vitality. Some of the methods and practices presented and discussed may be too physically or mentally demanding for some people. Readers need to use their own discretion and good judgment before engaging in the exercises or training programs discussed herein. When in doubt, please consult with your personal physician or health care professional for their advice as to your readiness for any exercise and/or fitness program. The author, teacher or web publisher of yuliqigong.com or jadepowerqigong.com shall have neither liability nor responsibility to any person or entity with respect to any loss or damage caused, or alleged to be caused, directly or indirectly, by reading or following, on their own or with others, the information, instructions or training programs presented at yuliqigong.com or jadepowerqigong.com or any website linked to from a yuliqigong.com or jadepowerqigong.com web page. The author of the web pages at yuliqigong.com or jadepowerqigong.com will not be held responsible in any way whatsoever for any injury or accident which may arise as a result of your choosing to follow on your own or with others, the techniques presented on these web pages. Readers and students engage in all of these activities at their own risk. Parents of children under 18 years of age are responsible for the actions of their own children. Neither the author or publisher are accountable for your unsupervised children's actions. Anyone with or contemplating an organ transplant, or with some auto-immune diseases should not undertake any of the Qigong described on yuliqigong.com or jadepowerqigong.com without seeking proper medical advice, specific to the condition and specific Qigong. Exercises that boost energy and make some people feel good, might not be right for you. You practice at your own risk. Every exercise program carries some type of risk. On the other hand, not doing any exercise or fitness activities carries a far greater risk for your loosing your good physical and mental health, well being, vitality and happiness.